Just picked up the Spring 2015 Edition of Fly Fusion Magazine. 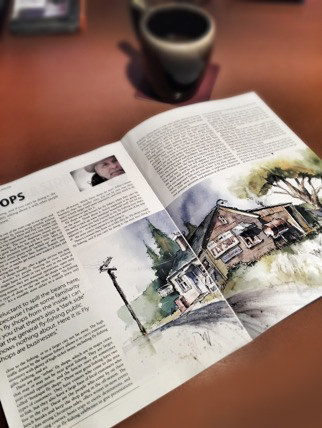 The "FlyShop" Painting was used in Jim McLennan's Water Marks article. It is always fun to produce work for Fly Fusion! Click image for information about the Original.